Sellers! We are so happy that you found our business. At Motorado, our motto is "Where Everybody Wins" and we really mean it. Why choose Motorado to sell your motorcycle, ATV, UTV snowmobile, or trailer? Few things ruin a day more than, "I will be there at 2!" You know the call that comes in just as you are heading out the door. The one that really wants the machine and can't come any other time. You wait but they never show up or worse, they show up to pick apart your pride and joy. Your free time is precious, don't waste it wishing and wondering if the next call is "the one." Let Motorado contact the qualified buyers and get it sold! We understand how free internet advertising seems very appealing, but we hope you see the value in selling through Motorado. We offer detailing, on-site financing, an indoor showroom (open 6 days a week), professional sales staff, timely title work, and a 90% success rate for sellers. Craig and his list does not even begin to compare to Motorado's list of services that will insure you a money and time saving way to sell your used motorcycle, ATV, UTV, or snowmobile. When you need it sold... count on Motorado! "Motorado helped me sell my Ninja 650 in less than a week! As promised, Ron sold my bike for more than fair price. Previously I had put my bike on Craigslist and Cycletrader, i didnt receive a single call in 2 months"
"After dealing with the notorious Craigslist for over 2 weeks and all the phone calls that come along with listing anything, Ron contacted me. He explained what he does and at first i was skeptical but we managed to sell my bike within 24 hours! Not only was it extremely fast, but it was incredibly easy and painless. I still owed money on my bike and within 2 weeks of selling it, my loan was paid off. 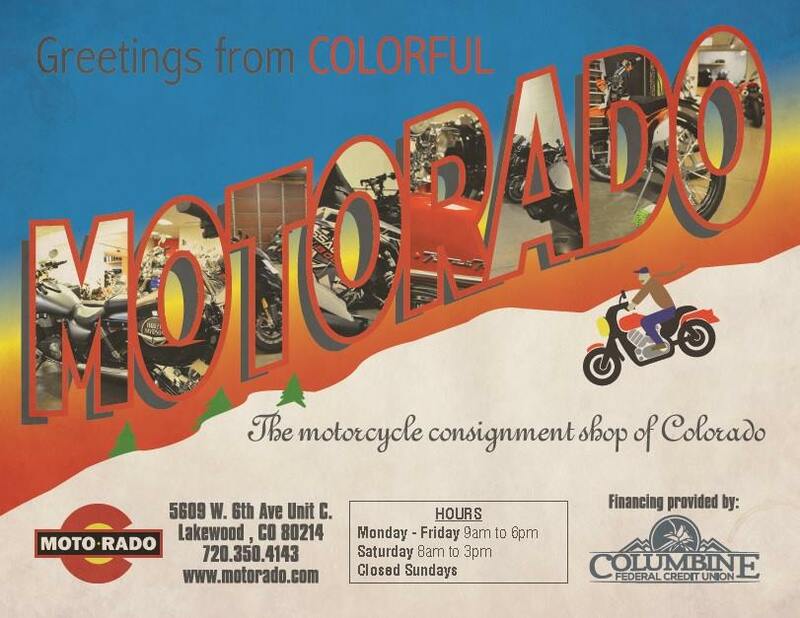 I would recommend Ron and the team at Motorado to anyone that is trying to buy or sell a bike!" Check out our Reviews page to read more about previous experiences with Motorado, or leave your own!